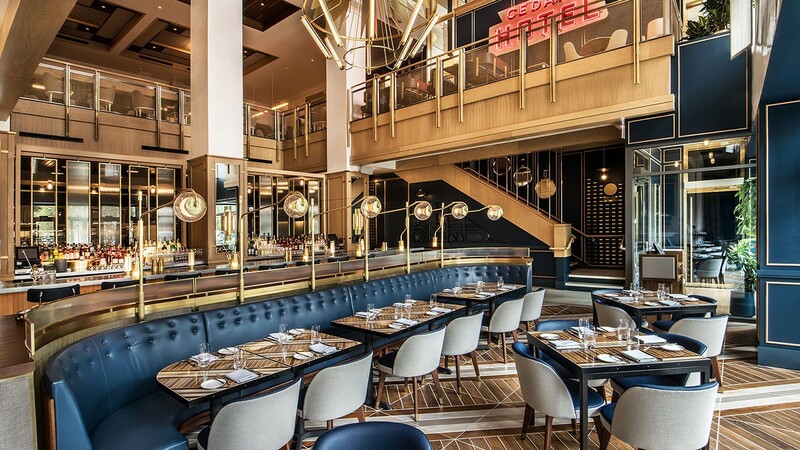 The Viceroy is the new hot spot in Chicago’s Gold Coast neighborhood, which became the home of the city’s “upper crust society” after the Great Chicago Fire in 1871, and managed to keep its reputation ever since. What was once was a 1920’s run of the mill hotel is now a local favorite, and is dangerously located just down the street from some of our favorite shops including Barney’s, Hermes, and Versace. 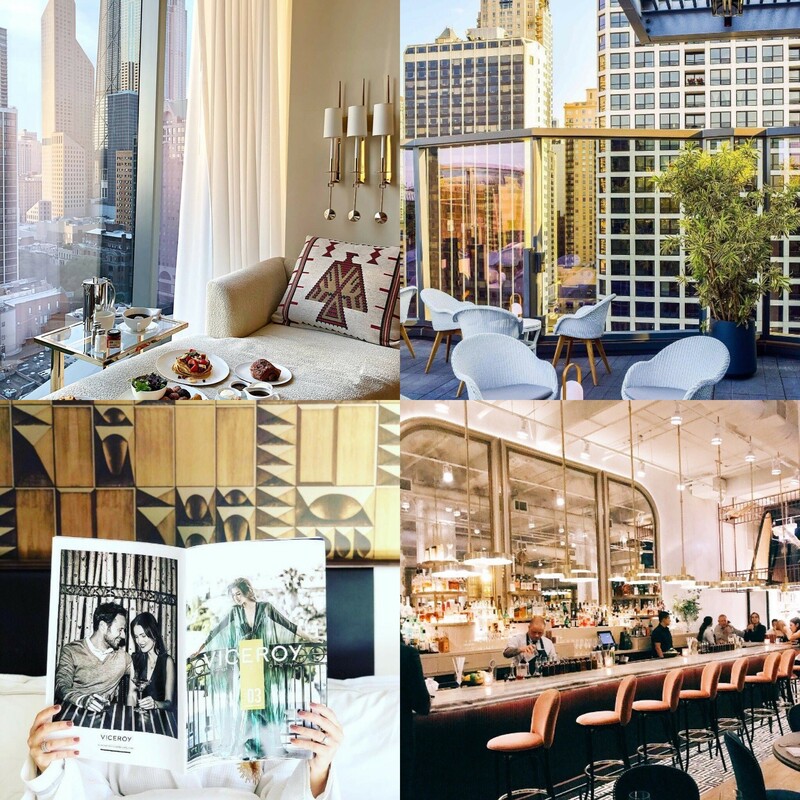 Even though The Viceroy is located in a prime area of Chicago, there are many aspects of the property that make it hard to leave the premises. 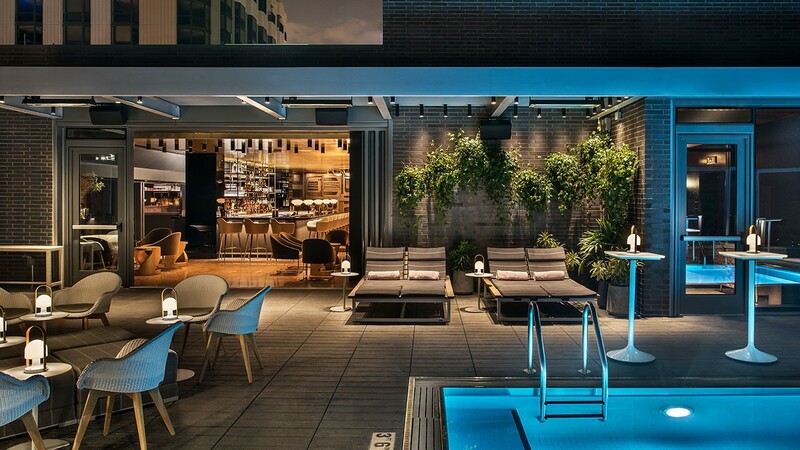 The hotel has a swanky rooftop pool and bar, trendy restaurant, and panoramic city and lake views. 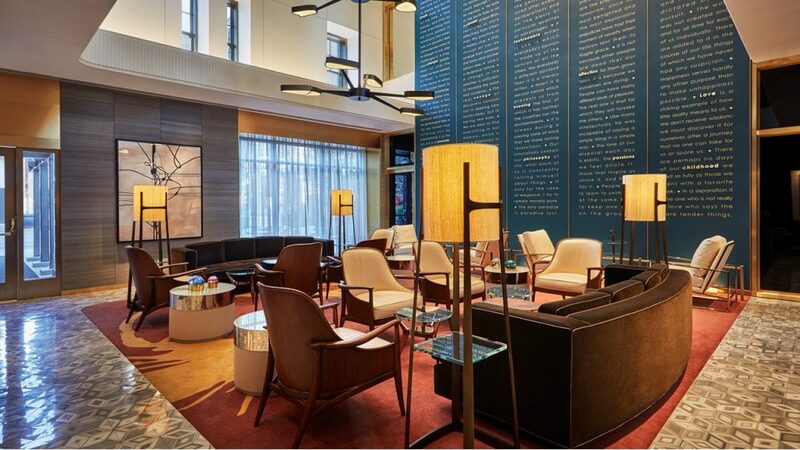 If you’re in town to visit friends, we suggest having them come to you and enjoying all that the hotel has to offer. This 180-room hotel is not your average square box with a bed. 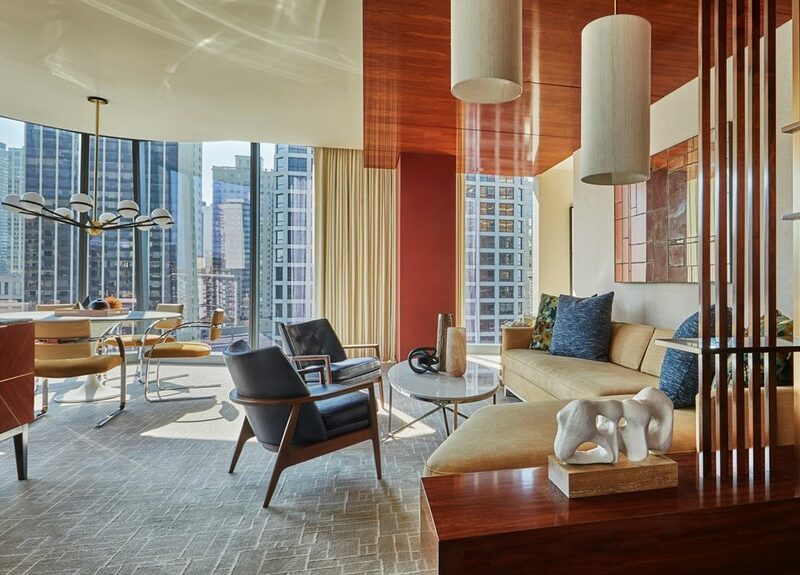 Gold accents and the finishings of a luxury apartment, all designed by TAL Studio will have you feeling like a Chi-town royal. 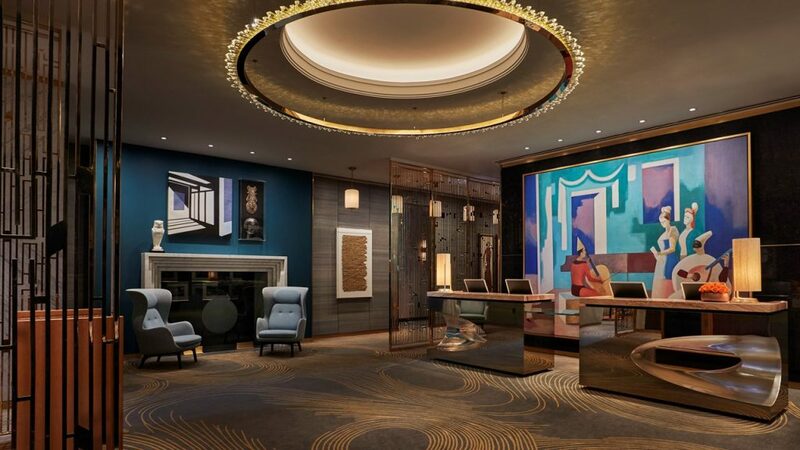 Rooms range from a “Viceroy King” to a 675 square foot One-Bedroom Suite that includes a sitting room, plush sofa sleeper, and an expansive bathroom with a soaking tub. Of course, if you feel like going all out (which we often do), you can book the Penthouse Suite. 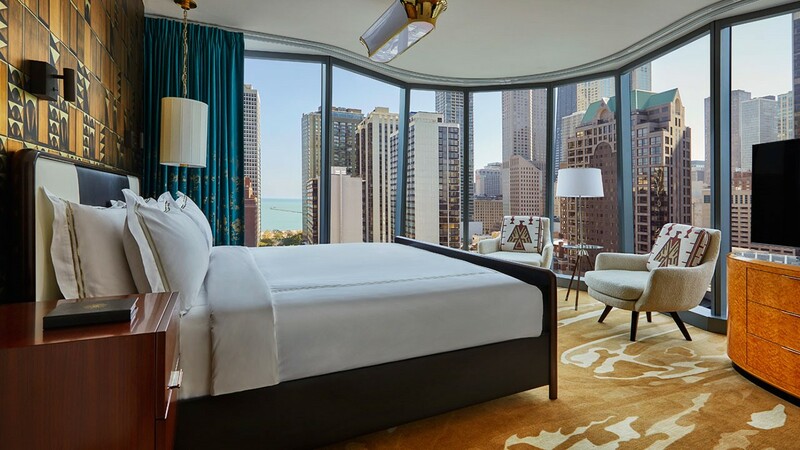 The suite has 2 bedrooms, 2.5 bathrooms, fits up to six guests, and has panoramic views of Lake Michigan. 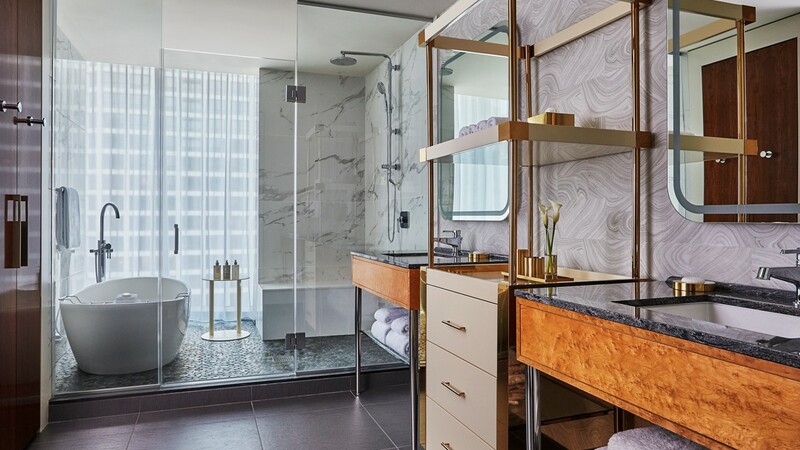 All rooms come equipped with complimentary WiFi, a Nespresso machine, bedside charging ports, Natura Bisse body products, and a luxurious rain shower. Yes please! With a sophisticated ambiance modeled after American Country Club culture, Somerset is open daily for all three meals and is serving American cuisine from Michelin-starred Chef Lee Wolen, former winner of the Chicago Tribune’s Chef of the Year award and the coveted James Beard “Best Chef” award. 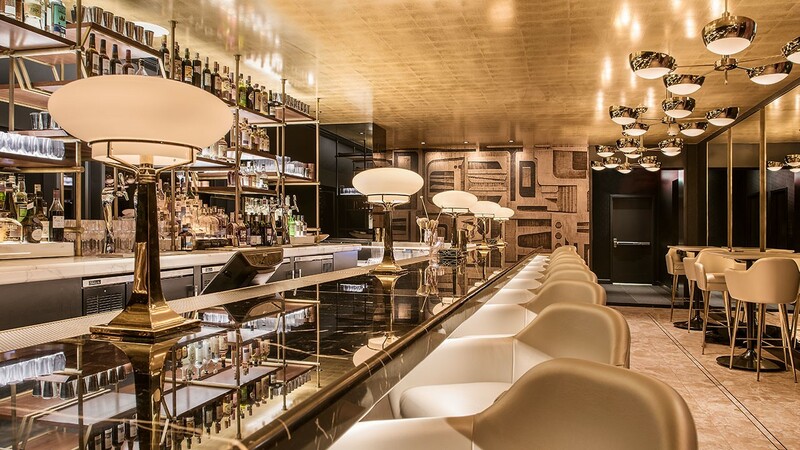 Devereaux, the hotel’s rooftop bar, is a gorgeous art deco style hot spot serving classic cocktails with a modern twist and refined bar bites. 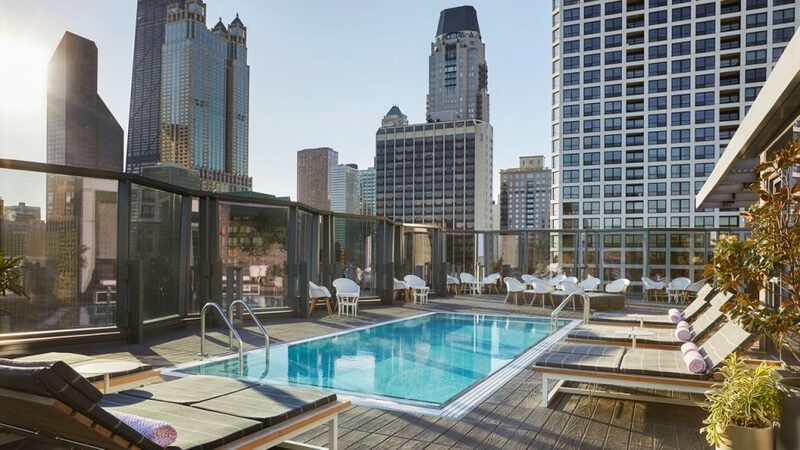 Take your drink outside to the pool to enjoy sweeping views of the Chicago skyline and Lake Michigan. 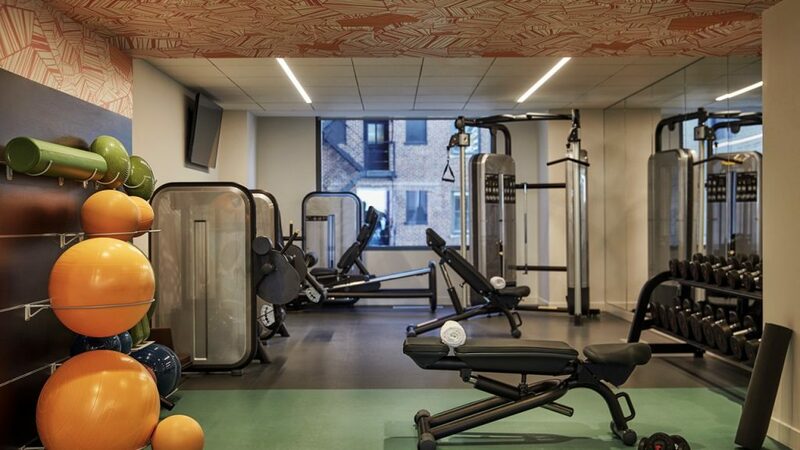 The Viceroy has a cutting-edge fitness center available to guests, as well as summer bike rentals and complimentary Saturday Morning Yoga on the beautiful open-air Lakeview Terrace. Sure you will be shacking up in style, but why not be transported in style too? Guests have the option to be chauffeured around the city in a complimentary Tesla Model X upon availability. For all pet lovers, The Viceroy has your back with their PAW (Pets Are Welcome) program. Bring your furry friend with you to the Windy Cindy, and they just might feel more pampered than you. PAW participants are welcomed with a custom bed, plush toys, and water and food bowls upon arrival. Better yet, the Viceroy donates a portion of the PAW fee to Orphans of the Storm, a Chicago-based animal rescue that helps homeless pets in the city. Equal parts charitable and glamourous. What more could you want?